Many people forget about the island between Australia and New Zealand: Tasmania. As many people think Tasmania is a country on its own. Big surprise when we say it is the second biggest island of Australia, or a state of Australia. And rumour has it you breath the cleanest air of the world in Tasmania! We went to Tasmania on our second trip to Australia, and toured around for 10 days, starting in Hobart. 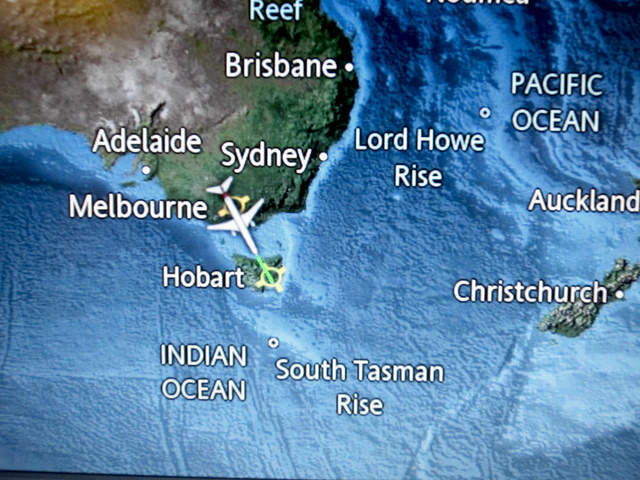 We took a flight from Melbourne (well, actually we started in Perth), but you can also cross the Bass Strait by ferry. Our first stop at the island was the small town of Sorell. The first time ever to pick fresh strawberries! At this farm they also have other kinds of berries, cherries, apricots, apples and pears. Be there at the right season and you can eat vitamins for a whole week! From Sorell we drove further north towards Freycinet National Park. A lot of beautiful places along the road, but since we didn’t have sufficient time we didn’t stop that often. 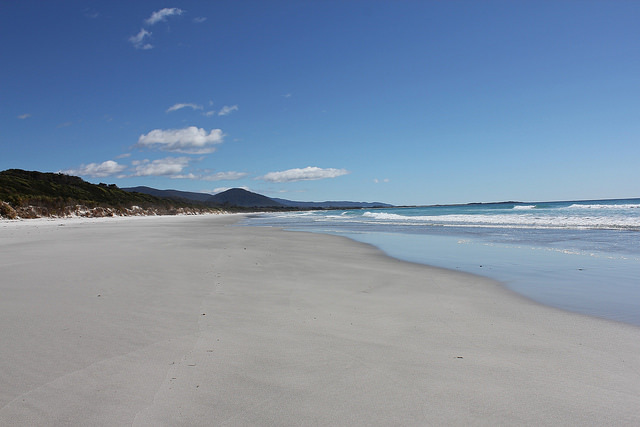 We missed Maria Island, Bruny Island and Tasman National Park for instance, still on the to-do-list. Freycinet NP is a beautiful NP, and makes you realise why you come all the way to Tasmania. Most recognisable is Wineglass Bay. You’ll have to climb a bit (about 2,5 km), but once you’ve reached the lookout the view is amazing! A perfect formed bay, and beautiful blue water. The beach is accessible but you’ll have to climb all the way back to the walking path before returning to your car (5km return). 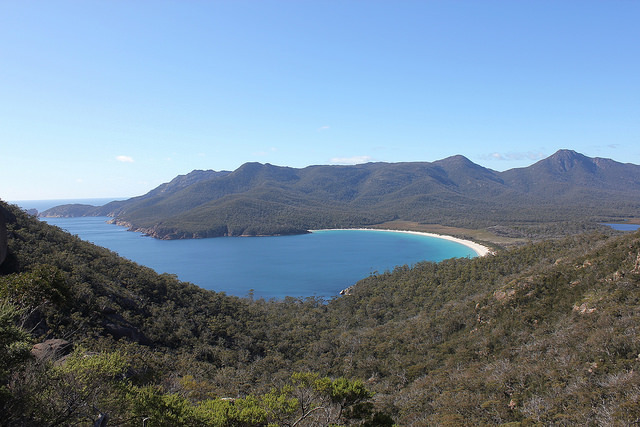 At Coles Bay we found another ‘Wineglass Bay’, kind of a mini version. And Friendly Beaches is … friendly indeed J Apparently Freycinet NP is a perfect place for bird watching, we didn’t see many birds but we did see a lot of wallabies! Once past Bicheno the ‘highway’ continues north along the coast towards St Helens, the ideal base to explore the Bay of Fires (named after the many fires Furneaux, a French explorer, saw in the late 18th Century). The Bay is recognised as Conservation Area, and well worth a stop! We went from the south till the north to Eddystone Point. Although it has been a while we’ve been there now, we remember how beautiful this stretch of coastline was. And sadly, we also remember how many road kill (death animals) we saw on our way to Gladstone and further on to Bridport … Bridport is situated on the north coast, nothing special about it. Just a small fishing town, with a nice boardwalk to the jetty. We continued our journey inland, towards Deloraine, and than via the smaller roads to Mole Creek (where we visited a place that had about everything you can think of one can make from bee wax or honey). It feels like you are entering a different country from here … Mountains dominate the view. We slept in a strange place (Gowrie Park), where only the remains of a small town remembered of another time. We thought it was kind of creepy, although the surroundings were beautiful. 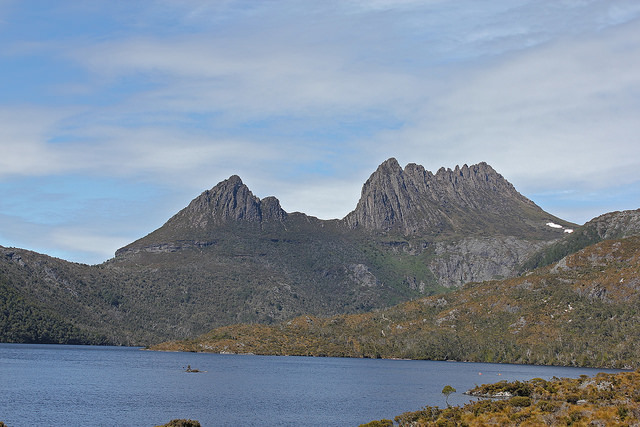 It was our gateway to visit the absolutely fabulous Cradle Mountain – Lake St Clair National Park. Cradle Mountain is recognisable from far away, thanks to the strange peeks of the top (it is possible to climb the mountain). There are nice walking tracks around the lake and the mountain. Those who look for more adventure could try the Overland Track. 65 km from the north of the park to Lake St Clair in the south. We decided to drive around the NP, via Tulah, and took a small detour along Zeehan to Strahan, to the east of the NP. We crossed Mount Dundas Regional Reserve, but were actually shocked by the mining and logging operations in this region… Especially in Queenstown, on our way back towards the NP, nothing is left of the beautiful nature. A real shame for this beautiful part of Australia. Luckily we drove back to the beauty of nature, along the Lyell Highway. On the left Cradle Mountain – Lake St Clare NP, on the right Franklin-Gordon Wild Rivers NP. Nelson Falls is just off the highway, a short walk from the car park, hidden in the rainforest. There are several lookouts over the Franklin River Valley and Frenchmans Cap, a mountain at Franklin Gordon Wild Rivers NP. Just before Derwent Bridge, we stopped to walk around Lake St Clare. This truly is a unique landscape! We ended our 10-day trip around Tasmania where we started: back to Hobart along the highway, leaving the impressive nature behind us, returning to the pastoral landscape. Note: all national parks ask and entry fee. You can buy a park pass. Note 2: be careful when driving around here. The roads are sometimes very narrow and have a lot of curves. Tassie drivers aren’t always so patient to drive behind a tourist, so try to avoid your rear mirror.